In talking with our customers, we realize the world of buying a tent can get incredibly complicated very quickly. Talking to multiple potential vendors, receiving a wide range of quotes, being unsure how to make a decision, are all par for the course. We want to help make your custom tent buying experience better and more transparent. The tents you order represent your brand to your customers and you should be able to make an informed decision on purchasing while having an enjoyable experience. Here are three questions you should ask and potential tent vendor (TentCraft included) that will help save you from poor quality, long lead times and ultimately a disappointing experience. #3 – What materials do you use to create your tent? As a potential customer is very important to know the difference between steel vs. aluminum, powder coating vs. anodized, etc.. Did I lose you? No worries, let's just talk about the best (aka what you should be looking for). Anodized Aluminum is the best frame solution – if this material is good enough for the military and aerospace, it's the best possible solution for your frame. It's a perfect blend of lightweight/tough AND it'll never rust. Pro-tip: If you choose to buy a colored or black frame, make sure it's anodized not powder coated, you wouldn't want that coloring to flake off. 500 D Polyester for strength and vibrancy – This material truly makes your colors pop. We've tried thinner... we've tried thicker and 500 D Poly is the best balance of strength and quality. 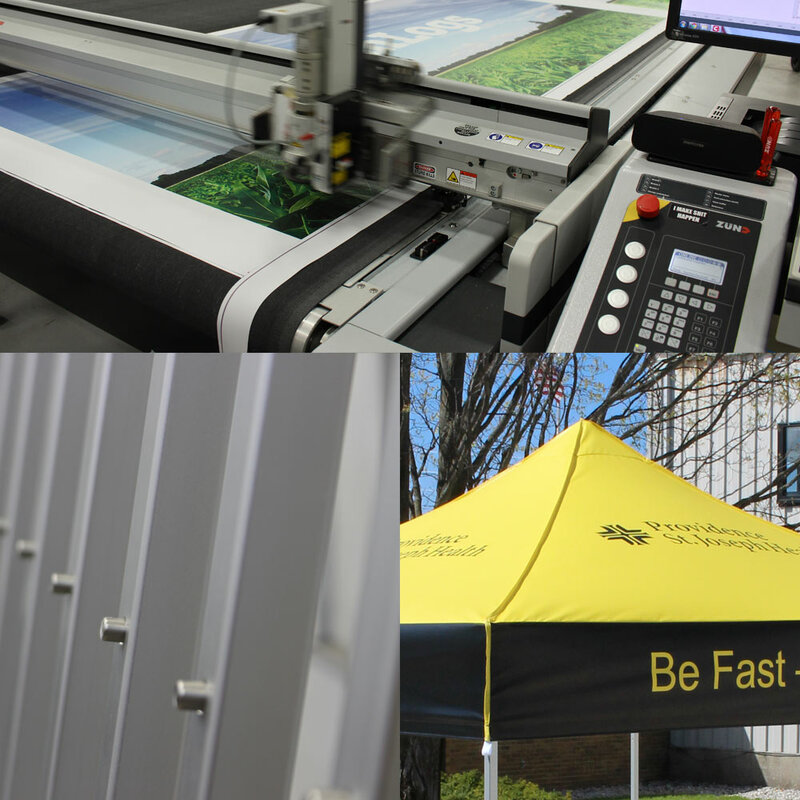 UV printing means color match and fade-free – Don't get us wrong, we love dye-sub for printing flags and table covers, it's just not the best material for making tent canopies. It can fade over time in the sun and can be more difficult to keep taught to avoid saggy canopies. #2 – What's the process for designing my tent? If a tent company sends you a blank Photoshop template and moves on to the next customer, we can guarantee you'll have a pretty terrible buying experience. You know what should happen? You should get to work with real artists who understand 3-D design. Designing a tent to be viewed from eye-level takes some skill, even if you have a design team on staff, it's important to work with a vendor that employs actual artists who spend their time designing for this purpose and consulting to help create the best tent possible. #1 – How fast will I receive my tent? We all know custom products take time but if a vendor manufactures and prints your tents in their own facilities, it shouldn't take very long. 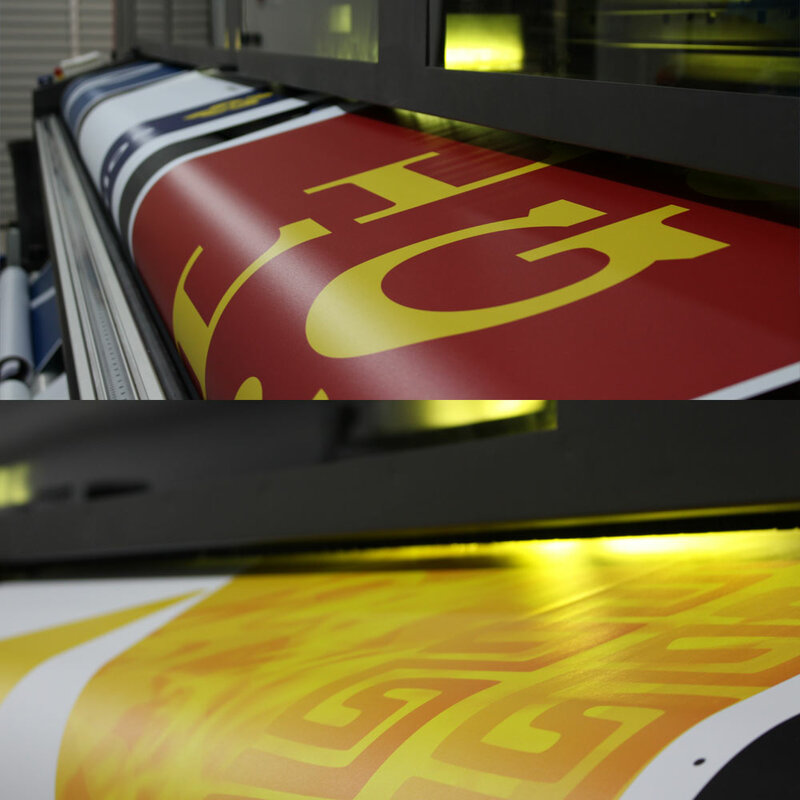 We aim for a 3-5 day production time and we are able to achieve this simply by printing and creating most of our products right here on-site. If a vendor farms out your tent to another company or prints on another continent, how can they possibly be 100% focused on delivering a quality product for you? There are certainly more questions you should ask, but we feel these three will help uncover a lot of misdirection and misconception in the custom tent industry. If you'd like to ask us these questions in person connect with us here and fire away. We're confident we can find a custom solution for all your event needs.